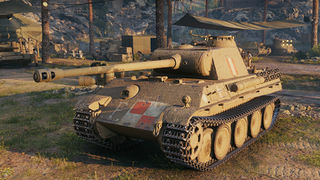 The Pudel is a Polish tier 6 premium medium tank. A variant of the Pz.Kpfw. 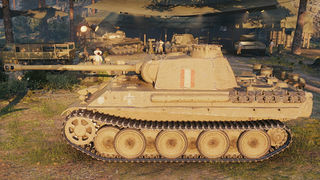 V Panther Ausf. G, the most massively produced modification of the German Panther tank. Two German Panther Ausf. G tanks were captured by Polish troops during the Warsaw Uprising on August 2, 1944. 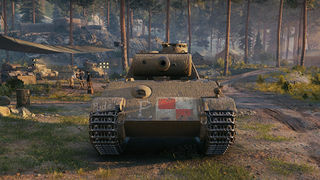 Rebels applied national colors and various emblems to the vehicles, which is reflected in the game. One tank was nicknamed "Pudel" (which means Poodle) and used in urban warfare. The Pudel is essentially a stock Panther and therefore plays mostly like a VK 30.02 (M). It is a good support tank with decent frontal armour and mobility, but lacks alpha damage. It is best used from a distance, because its weak side armour and slow gun traverse make it ill-suited for close-range brawling. 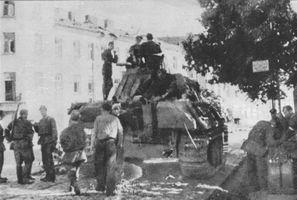 In August 1944 Panthers were deployed during the Warsaw Uprising as mobile artillery and troop support. At least two of them were captured in the early days of the conflict and used in actions against the Germans, including the liberation of the Gęsiówka concentration camp on 5 August, when the soldiers of "Wacek" platoon used the captured Panther (named "Magda") to destroy the bunkers and watchtowers of the camp. Most of the Germans in the camp were killed; the insurgents had lost two people and liberated almost 350 people. 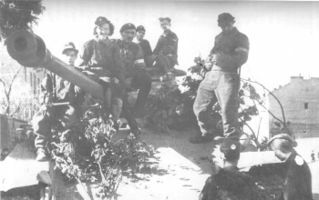 After several days the captured tanks were immobilized due to the lack of fuel and batteries and were set ablaze to prevent them from being recaptured. This page was last modified on 14 September 2018, at 17:47.